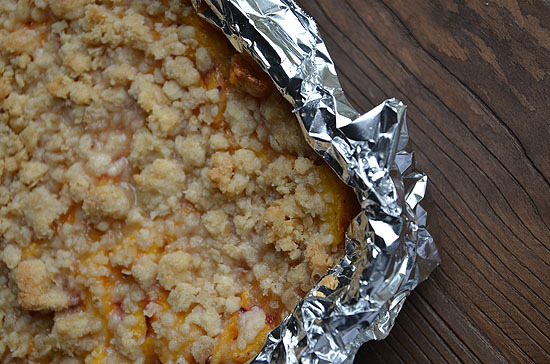 These Gluten Free Oatmeal Peach bars are amazing! 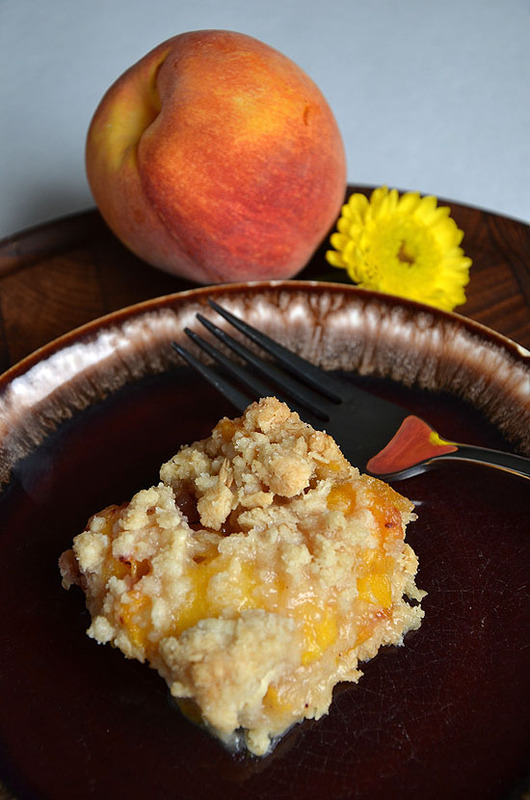 I used peaches from my favorite local farm stand and the freshest and organic ingredients possible. Pam Spray to use on the foil for easy release of the cut bars. 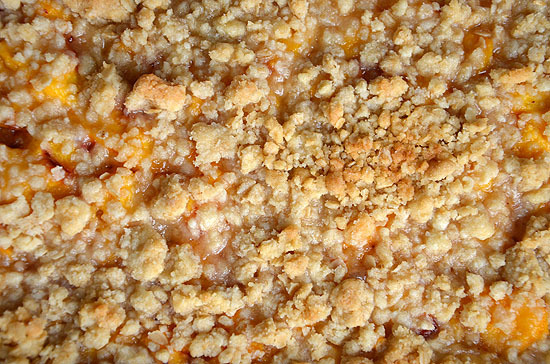 Combine all the bottom crust and topping ingredients in a bowl. It will be crumbly. Reserve a heaping cup for the topping. 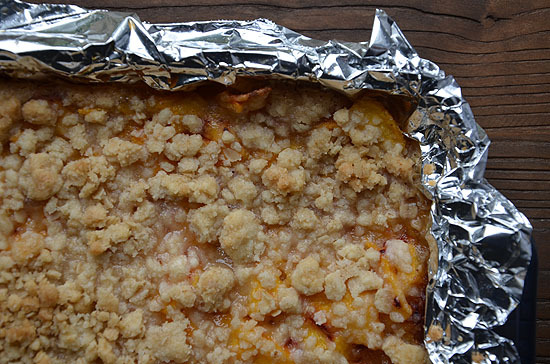 Place the remaining evenly in the foil lined pan and press down with spatula to create the crust. Next, combine all the peach layer ingredients and spread on the crust layer. Finally, sprinkle the reserved topping over the peach layer. Place in a preheated 350 degree oven and bake for 70 minutes. Ovens vary so start to watch it at 55-60 minutes baking time. I baked it until the top looked a golden brown and sides were a little brown. These bars smell amazing coming out of the oven. 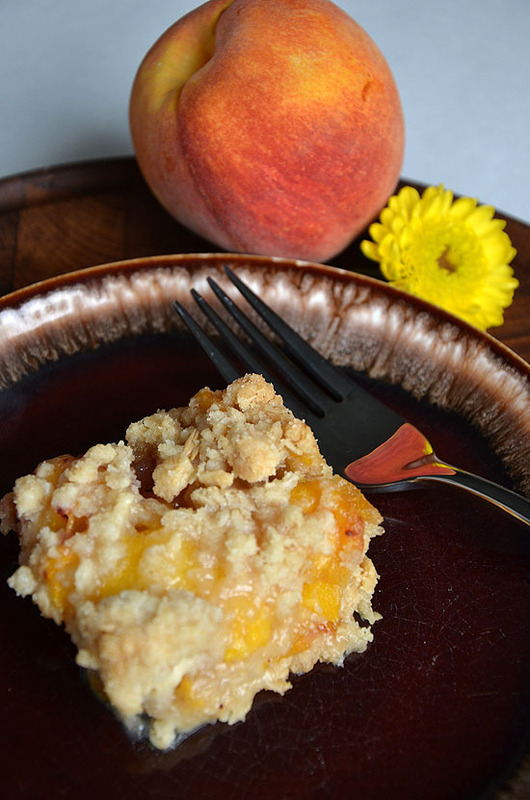 The peach bar on the plate photo was taken after the bars cooled for 30 minutes. I couldn’t wait to try it so I cut it in the pan. I let the rest completely cool and was easily able to lift the whole thing out by holding onto the foil. I then pulled the foil down off the sides while making sure I didn’t remove the crust. After that I was able to cut the bars evenly and remove from the foil with no problem. I packaged them up and placed them in the freezer for future eating. Next time I might try substituting organic honey for the sugar.